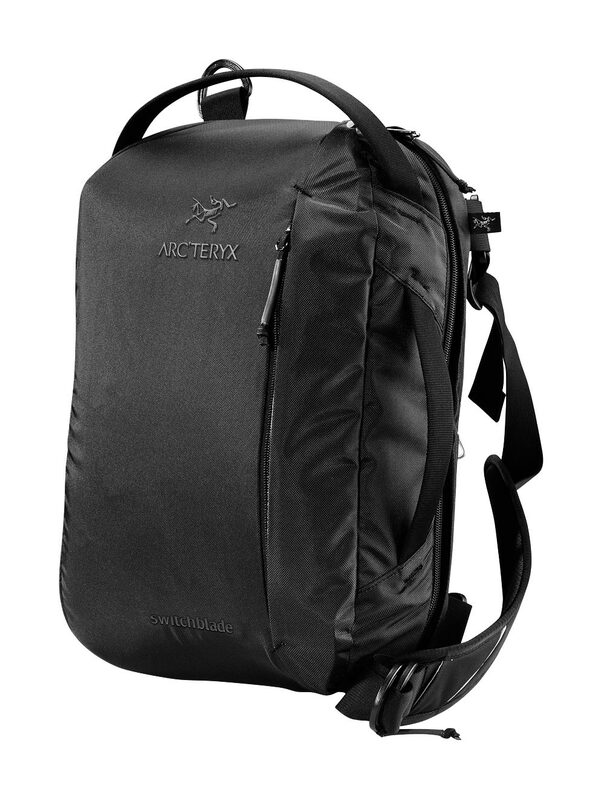 Arcteryx Black/Black Switchblade | Arc'teryx Men Online Sale! Casual/Urban Padded on all sides, this rugged laptop case has plenty of pockets for storing items large and small. The main compartment features a suspended sleeve to protect your laptop, and a variety of angled phone/credit card/passports pouches for easy access. A front zippered pocket with additional storage options, combined with two zippered rear pockets for cables, power blocks, etc means that you can carry all your office essentials with you. The removable shoulder strap can be attached in a variety of ways. Fits a standard 15 inch laptop.